Nele Heinevetter, Stefanie Gerke and Katharina Beckmann founded Niche Berlin as students back in 2009 and have been providing tours through Berlin’s art and architecture scene ever since. Their expeditions are designed not only to shed new light on established sites, but to introduce participants to places they’ve never been. 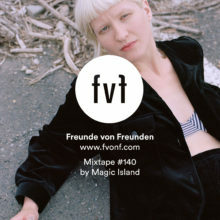 In that spirit, Niche put together a tour through Berlin’s district Charlottenburg for Freunde von Freunden–complete with both established galleries and new project spaces. Curation is also at the heart of Insitu, where Gilles Neiens, Marie Graftieaux, Nora Mayr and Lauren Reid are trying to take the term back from BuzzFeed and concept stores and return it to its source. Experimentation is the order of the day at their project space near Potsdamer Straße, which we reach in ten minutes by foot. Director Lauren Reid, who also coordinates the Project Space Festival Berlin, is convinced that Berlin’s independent art scene can exist so freely in part because networking is in the city’s DNA. Indeed, giving artist friends a platform was what prompted Claudia Rech and Verena Gillmeier to open Galerie Gillmeier Rech in 2013. The gallery is housed in a former slot machine repair shop turned flower store not far from Gleisdreieck Park. “We chose the location consciously,” says Rech. “The proximity to other galleries whose work we respect – places like Supportico Lopez, Guido W. Baudach and Tanya Leighton– was important to us.” The two met while working on a project – Rech as curator, Gillmeier as artist. Their sense for creation and communication is one of the reasons their openings are among the city’s best attended. “We really should wrap this up with a beer,” says Heinevetter as we leave the gallery. The Kumpelnest, a West Berlin drinking institution, isn’t open yet, so we turn onto Potsdamerstraße, where our tour ends under the awning of Joseph Roth Diele. In 1933, the writer for whom the establishment is named noted that “Berlin is a young, unhappy, future­driven city.” At least as far as the first and last points are concerned, not much has changed. Thank you, Nele, Stefanie and Katharina, for taking us along with you on this wonderful tour. 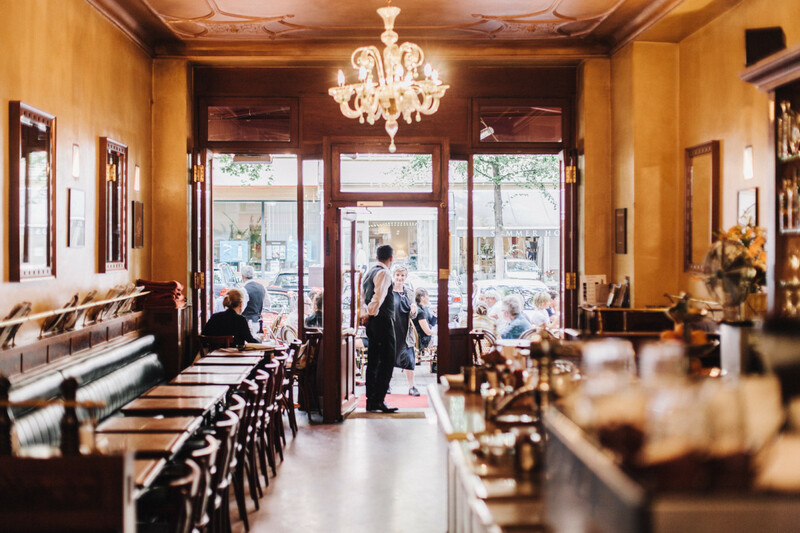 Find out more about Niche Tours Berlin here. This portrait is part of Companion Magazine, a project developed by FvF for 25hours Hotels. Read more about the current issue in the FvF Journal.